Sometimes one may not find the cursor. In this type of OS X, a mouse wiggle tends to make the cursor increase massively so as to enable in locating it. It remains big for as long as you do so and then returns to its normal size. If one is familiar with the handy swipe-left-to-delete motion in the Mail app of the iPhone, one will find the same on your Mac also. Utilising a trackpad, you could bring up the familiar red `Trash’ box with a two finger left swipe, while one finger is used on an Apple Magic Mouse.One could choose a natural swipe direction for the mouse and trackpad wherein swiping down tends to move the onscreen content down which seems to happen on an iPhone or iPad though is the opposite of what happens on a computer. When one receives an email, the program tends to search the text for new statistics like event or contact details which is not recorded. A new line seems to appear towards the top of the message stating `1 Event found in this email’ and with a single click it can be added to your calendar. It will recognise a flight number also, so clicking on the arrow which tends to appear towards the right of the words makes knownthe flight information. If it states New Contact info found in this email, you can update your contacts’ details. Full screen apps, raised on clicking the green button towards the top left area of the document of bar application, assists in focusing on one job at a time. However if one needs to work on many emails simultaneously, you would need flexibility. You could click on the yellow button in the traffic-light three, in mail, on the new message window in order to see it glide to the bottom of the screen. Thereafter you could develop more new messages which are together ready to be called back to the main screen by clicking on them. In order to work on plenty of new messages, you could click the new message button continually which will be identified by a tab at the top of the messages and you could click between them with ease. To launch Spotlight, you could click the magnifying glass towards the extreme right of the menu bar. On editing the word weather, you get to see the forecast for your area. Entering the name of a sports car, a movie stars etc. to see the latest headline. You also get the updates of sports score here and could also move the Spotlight window around the screen, resizing its depth. Should there be browser windows which are used continuously, there is an easy method rather than plucking them from the top sites which Safari window tends to provide. A right click on the tab tends to turn it into a `pinned tab which sits towards the left edge of the tab bar like a small icon. It is also easy to suppress a tab which plays audio when you don’t seem to need it. Rather than having to mute the entire computer you could go to a blue speaker icon in the browser bar to mute any kind of audio pick a selected tab to silence. It is also simple to switch between tabs and click on the tab, However you can hold down the Command key and a number key to select a tab – 1 is the left-most tab, 2 the next along and so on. For long, Apple featured an application dock which tends to sit on the bottom of the screen while in the same menu there is a check box to `automatically hide and show the Dock’. It means that the dock slides in view only when the mouse heads towards it which is useful if the screen real estate seems to be limited. This seems to be one of the best recently introduced application which seems to be developing. If one has an iCloud account, a note made on the iPhone would seem as if by magic on your iPad and Mac. Searching the notes seems to be easy and you could also save web addresses to notes together with photos and much more. You could also display element by type portraying all the URLs that have been saved together. Besides this, it is also simple in creating list, with bullet circles that tend to be satisfying when you have completed your task. The latest on the list is a padlock icon that enables you to lock individual note or the complete lot so that no one can get hold of it without your password. Shooting live photos with multiple frames as well as audio saved along with the main shot seems to be the support of the iPhone 6s and 6s Plus which can be viewed on a Mac by just hovering the mouse over the thumbnail pic in Photos. On clicking on the Live logo towards the bottom left of the image, when the image is full screen, it tends to come to life. There seems to be one thing which Apple has not introduced to notes, which are tags. If these tend to be a consistent part of the workflow, one would have to do with a hack. You could use hashtags in your notes and later search for them utilising the search box in Notes by using Spotlight in order to filter notes depending on hashtags. Apple usually seems to reveal its next smartphone in early September and it would be disclosing the new iPhone in less than a couple of months. It would probably be the iPhone 7 which has been rumoured online much ahead of its announcement. Together with forecasts and remarks from analysts in the industry as well as specialised tech media, there were also many made-up leaked images. Several portray the casing or material which are said to be in the new smartphone. 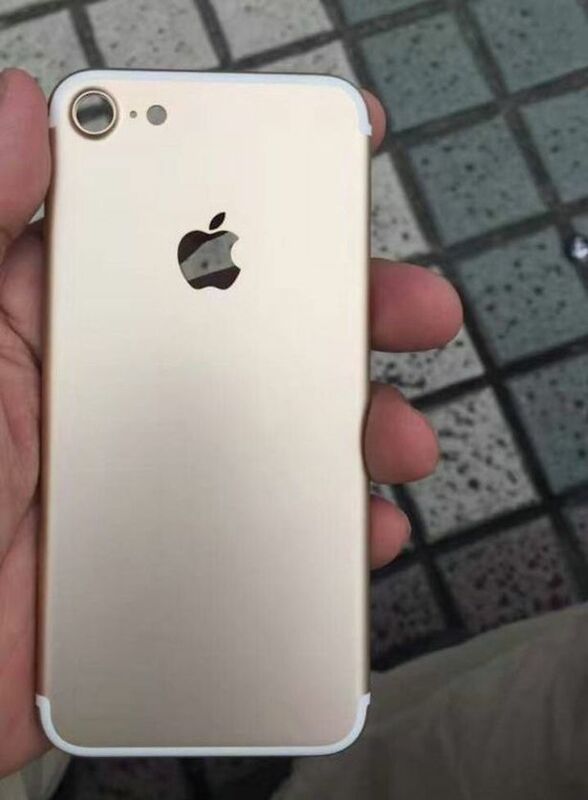 Latest images displayed tend to give some insight on what the iPhone 7 looks like. On a Chinese social media, it has been portrayed as a similar model to the present iPhone 6s. The iPhone 7 is not expected to see much major design tweaks, though with a few changes. The camera lens for instance is much bigger which tends to hold true to the rumours circulating that the tech has been improving the on-board snapper. Besides this, the lines across the back are removed since the antenna has been shifted to the curves of the device. Unfortunately from the images, it is not clear whether the headphone jack is in place and its removal has been the main rumour regarding the new phone where most of the supporters of Apple seemed to disapprove on losing it. This year, Apple is said to be taking it a bit further and is listed to launch three variants, the iPhone 7, iPhone 7 Plus and the iPhone 7 Pro/Plus/Premium. Yet another report has been listing the presence of three variants namely the iPhone 7, iPhone 7 Plus and iPhone 7 Pro. Apple would be doing away with the 16GB storage variant, replacing it with a 32GB choice. Initially the company had introduced the 16GB variant in 2008 which seemed to stay as the base model since the iPhone 5 in 2012. However with the growth of the app culture together with the capabilities of 4K recording, this moved to a 32GB base model which seems reasonable in more ways than one. A report of July again restated the end of the 16GB variant with confirmation from people who were familiar with the matter. Besides the 32GB base storage alternative, Apple is also planning to knock up the storage on the top model taking to 256GB. A latest report informs that the iPhone 7 would be made available in 32GB, 64GB and 256 GB options while the iPhone 7 Plus and iPhone 7 Pro would be offered in 32GB, 128GB and 256GB alternatives. It has been reported that the antenna band has been moved to the top and bottom edges and a recent leak has once again pointed this too. Some reports have indicated that the iPhone 7 would be coming with Smart Connector which was first introduced with the iPad Pro to connect the Smart Keyboard Cover together with the other accessories such as charging docks, though other disclosures have shown no existence of the Smart Connector. We need to wait and watch to see if the Smart Connector would make its presence on the iPhone 7 or if it would just be the top end alternative.The iPhone 7 of Apple will not be easy on the wallet compared to its past alternative. Apple recently announced a powerful new Siri proficiency, single sign-on for Apple TV as well as several more great latest features for users, enhancing the experience of entertainment in the living room. With the extended proficiencies of Siri, inclusive of searching across more app, YouTube search, and topic search as well as tuning right into more live channels, consumers tend to get to their favourite content much quicker. The yet to come of the TV is apps and with single sign-on, customers could authenticate all the video channels for their pay-TV providers by signing only once in order to enjoy the benefit of their network TV apps. 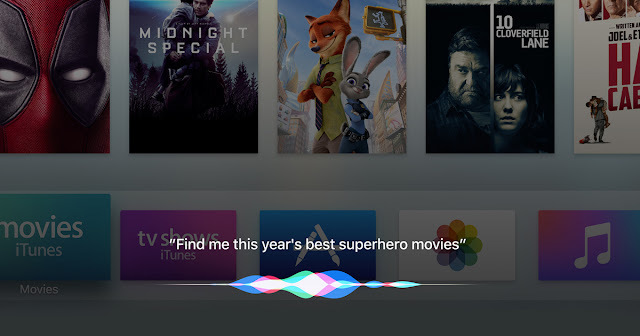 Apple’s senior vice president of Internet Software and Services, Eddy Cue stated that `the future of TV is apps and Siri on Apple TV has changed the way we interact with our television and these long-drawn-out features will continue to deliver viewers what they want to watch even faster. Topic search for movies – Having the skill of asking Siri for a movie by topic or theme, user has many options of locating the films they prefer to watch like `Show movies about baseball, Find documentaries regarding cars, etc. YouTube search – Later in the month user can ask Siri to search YouTube for instance `Search YouTube for attractive wrestler videos’. Achieve HomeKit accessories– Apple TV provides users’ control of HomeKit enabled accessories so that you can ask Siri to `turn on the lights’ or `set the temperature to 70 degrees. Apple TV also enables users to control KomeKit accessories when they tend to be away from home or utilise it for home computerization together with the Home app on their iOS device. Customers in the US, for the first time have a simplified way of enjoying pay-TV video channels by utilising single sign-on and beginning this fall, they will only have to sign in, once on Apple TV for the facility of immediate access to their favourite video channels which are included as part of their subscription for pay-TV. When the user tends to sign into a network app, any other app on Apple TV from participating pay-TV provider will inevitably log the user in all the other supported app needing verification. During the process of the single sign-on, customers can view a page of all the verified apps which a pay-TV provider offers to determine, download easily and enjoy their favourite video channels. Any of the network-TV app could have the benefit of this technology enabling single sign-on, simplifying the process for their audiences. Single sign-on would be made available on Apple TV as well as iOS. 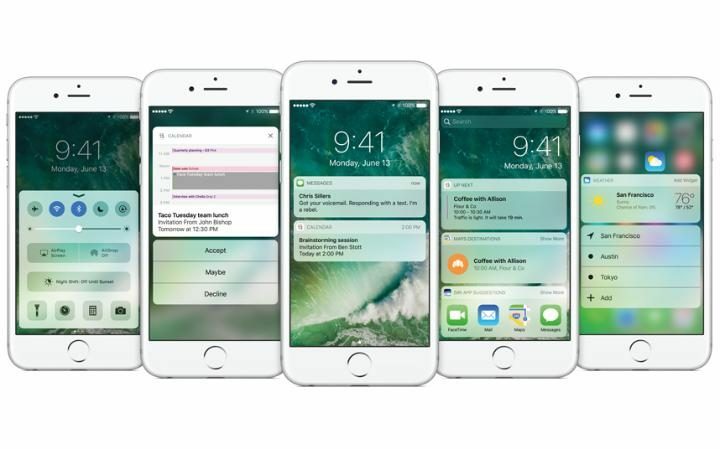 A beta version of Apple’s latest mobile and desktop software, iOS 10 and macOS Sierra has been released by the company. Promoted by the company as `the biggest iOS release ever’, the latest software is said to be intended for iPhone, iPad and iPod Touch featuring a revamped lock screen inclusive of the removal of `swipe to unlock’, customisable widgets as well as lively add-ons to iMessage.Though Apple is likely to release the update together with the iPhone 7, users could download the early version of the software using their Apple ID. The company has been motivating users of beta to report on any bugs or errors they may come across in the iOS, which is not the confirmed version and would be updated all through the testing period before its general release. In order to download the software, the user is required to sign up to the Beta Software Program of Apple utilising the Apple ID. When the user has signed up they can register the device they would like to upgrade to iOS 10 or macOS Sierra to be able to download the same. 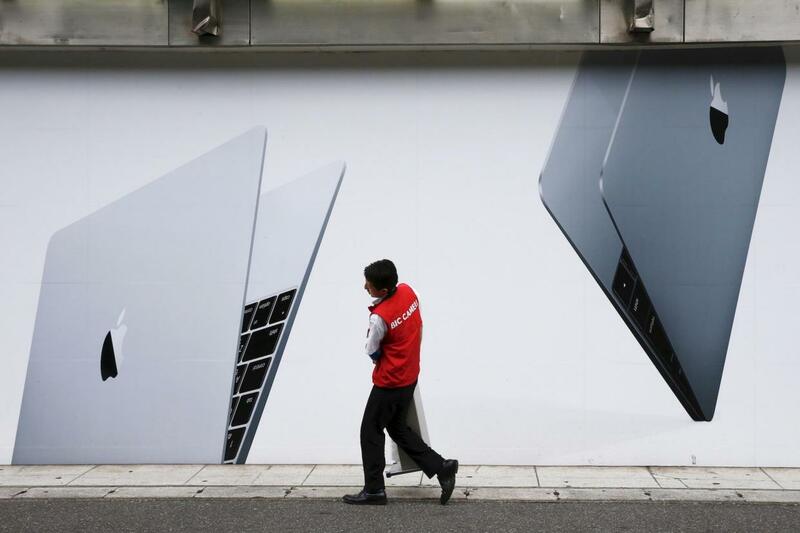 Apple has recommended consumers to backup any device they may be utilising for the beta and emphases that since the software is in its testing stage, it may feature malfunctions and viruses. You can back up the device in Settings by using iCloud or by connecting it to a computer. For those having over one Apple device, the iPhone maker states that it is better to download the beta on a secondary one and once the backup of the device is done, if you would like to update, it can be done by going to Settings > General > Software Update. The iOS 10 is said to be the most essential change that Apple has released for the software in a few years. To be precise, it has altered the way users tend to open their phones. Picking up a device which runs iOS 10 mechanically lights up the screen showing notifications, weather information, calendar appointments and news updates. From there, the `swipe to unlock’ feature has been removed by Apple which has been a basic since the first iPhone, the pressing of the home button was the only function needed to unlock the phone. Other useful alteration comprise of customisable widgets, the capability of deleting default apps and voicemail transcription. To the developers, iMessage has also been opened who can now develop apps within it, which means that users can now order food, send money or shop within messages. The biggest modification in macOS Sierra is the assimilation with Siri that also tends to work now with third party apps. Siri has got a huge makeover and is much smarter which includes writing your messages, performing image searches as well as transcribing voicemails. Apple Music has brought back useful iTunes features, comprising of the `Recently Added and Recently Played’, segments. It has also included statistics in Browse and For You, which has daily playlists, top charts as well as radio, somewhat like Spotify Discover Moreover the computer software also comprises of updates to the Photos app, tabs for every app and Apple Music. Apple had recently released four apps which possibly cannot be downloaded yet and which are the first signal of a big shift in the core messaging product of the company. 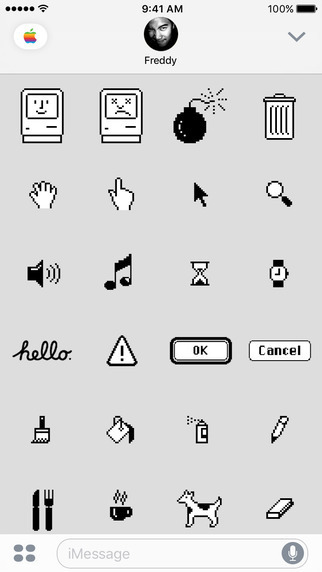 The apps are said to be four sticker packsfor iMessage from Apple which tends to feature various smiley, hands, hearts and some throwback Mac iconography which may bring joy to Mac fans especially children of the 1990s. While the apps are available at the store presently, they are supported only for iOS 10 and greater and if one is aware, the iOS 10 is not out yet to anyone but Apple developers.This month, a public beta period is anticipated but has not yet begun, which means that Apple has released four apps which cannot be utilised yet by anyone. This seems an odd decision but one could take it as an indication that the public beta is pending. The crazy sticker packs tend to represent a part of greater ambitions for messaging by Apple as a part of the tech world which is getting progressively competitive. Since Apple in the past has been clung for not jumping properly on the social networking trend, the wheel has turned in making a most important social force. But beta operating system could be insecure, crash abruptly, act unpredictably and also probably reduce the phone as useless. However if one tends to have an older phone or laptop there are greater chances of something going wrong since Apple intends starting developing software for its latest products first and will be working back from there. Even if there are no bugs in the operating system of Apple, one could find that not all of the apps are compatible with iOS 10 still, since several developers seem to be working on the upgrading of their apps before the full launch this coming fall. Sam Williams of Quartz who had co-developed the iOS app has held back from downloading the latest operating system stating that `most developers are not installing it yet on their personal phones and if they are not willing to risk it, best if everyone else holds back’. If one is willing to take a chance, they will have to register with Apple first as a public beta tester and the company would be sending instructions on how to install the software. The user would otherwise have to wait a couple of more months till the software seems to be ready. Messaging is now something that Apple has done impeccably in its modest form. However it seems to need a little more style in competing with the other messaging apps and is unwilling to open Messages up to other apps and developers to be there. The sticker packs coming from Apple though are the first of several add-ons which can be made by any other developers. That changed the benefits of Apple as it tends to keep pace with the other innovators in the field like WeChat. At its June developers’ conference, Apple had already announced that it would add a multitude of features to Messages inclusive of the ability to hand-write notes, to obscure parts of messages as well as to automatically erase them a la Snapchat. These in-house features tend to enhance Messages though the stickers together with the other app which tap into iMessage to take it from a product to a platform.